At Legacy Male Health, Dr. Jeffrey Buch has created a center for male reproductive health concerns. Dallas and Frisco, TX area men who are struggling with infertility, sexual dysfunction, or other sexual health issues are welcome to schedule an appointment at his practice. Cryopreservation – there are many situations during a man’s life in which sperm banking by cryopreservation can be beneficial. Men who are undergoing fertility threatening surgeries or treatments such as radiation and chemotherapy can take advantage of sperm banking to protect the potential for future children. Infertility – when infertility concerns arise, Dr. Jeffrey Buch and his team can evaluate you to determine which treatment options have the highest success rates, the lowest cost and are most natural for helping you and your partner to expand or begin your family. Sexual Dysfunction – sexual dysfunction issues, including erectile dysfunction, are treated confidentially and compassionately at Legacy Male Health. Determining the source of the problem and discussing appropriate treatments are the foundation of effective treatment. Vasectomy – when the time has come to cease conceiving and to undergo a vasectomy, our team provides the procedure with exceptional service and care. Vasectomy Reversal – if you are regretting a prior vasectomy and want to discuss the possibility of reversal, Dr. Jeffrey Buch and his team are here to help restore your fertility so you can father children once again. Are you ready for help from a nationally recognized center for male reproductive health? Contact Legacy Male Health in Frisco, TX, to speak with a dedicated professional about your reproductive health needs. 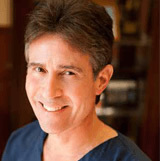 Dr. Jeffrey Buch and his team are here to assist with a variety of issues. Call (972) 996-7177 or visit the practice at 5616 Warren Parkway #101 to make an appointment. We welcome new patients in our facility to learn about the options available for infertility, sexual dysfunction, and vasectomy reversal.